Even if you haven't tried it out yet, we have all heard of the Fenty Beauty Pro Filt'r Soft Matte Longwear Foundation - known for their remarkable amount of shades for all skin types. Yet somehow they have now jumped to 50 foundation shades after releasing another 10 new matches - how insane?! There really is a colour for all skin types. Fenty Beauty have also launched their first setting powder, Pro Filt'r Instant Retouch Setting Powder, it comes in 8 different translucent shades to help find a colour perfect for you. You won't get any flashbacks and you can even use the shades 'Lavender, Banana, Honey and Nutmeg' without foundation to give your skin a natural glow. To go along with the powder and foundation, the new Pro Filt'r Instant Retouch Concealer has also been released. I can't wait to get my hands on this, it sounds like it will be perfect to hide my dark circles as they describe it as 'the full-coverage cure'. I love that it mentions the 'sweat-resistant formula' exactly what I need when I am dancing, whether that's in a class or on a night-out! Last but not least, to finish off their new releases - they have brought out a Powder Puff Setting Brush 170, Precision Concealer Brush 180 and Lil Precision Makeup Sponge Duo 105. 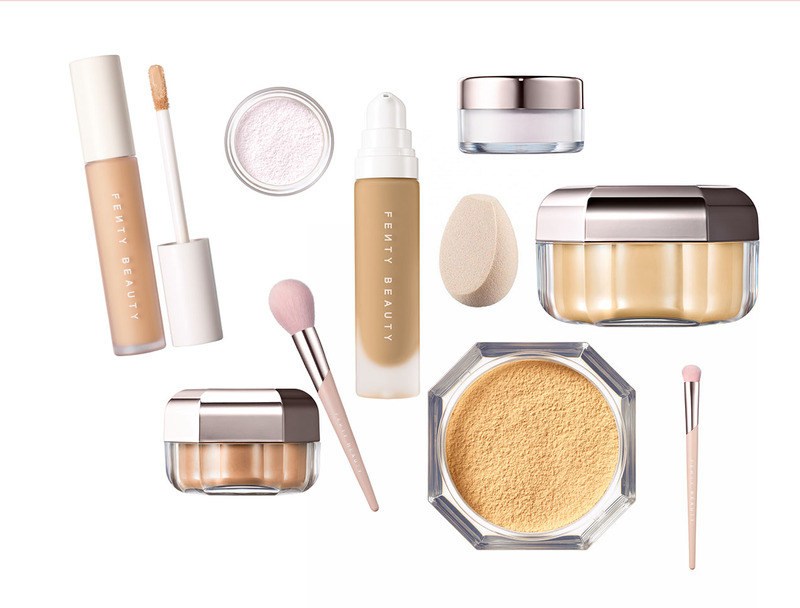 So if you're someone who likes to purchase new tools with your new makeup, Fenty Beauty have got you! You can find Fenty Beauty at Harvey Nichols!